Would you like to teach mindfulness, meditation and relaxation to children in your area? Would you like to help children manage anxiety and stress whilst building their self-esteem and confidence? We are looking for a group of enthusiastic, motivated and creative people to run their own Relax Kids classes and give children tools for life. 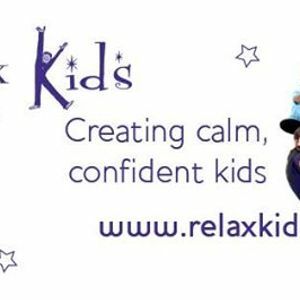 •	The Relax Kids system uses research-based relaxation techniques in a child-friendly, creative and imaginative way. •	Our classes are Award-winning (The Relax Kids system was used in a project that won the 2011 Nursing Standards Award). •	We have trained over 2000 coaches from 39 countries. •	Relax Kids is recognised and recommended by doctors, psychologists, children's therapists, play workers, teachers and social workers. •	The course can be adapted for working with special needs, children of all ages and used in a variety of settings such as schools, hospitals and community centres. •	Relax Kids classes are supported with a wide range of highly recommended and widely used products and resources. A Relax Kids class includes warm up and movement, fun drama-based games, relaxing mindfulness games, stretching and breathing exercises, massage, affirmations and visualisations. Classes take children from a high energy to a low energy and encourage them to relax while developing their creativity and imagination. Sessions support children’s mental and emotional well-being and give them tools manage stress and be more resilient, calm and confident. Have fun teaching classes where children can go on a different adventure each week from pirates to outer space to wizards. Our classes are fun, lively, creative and most importantly - relaxing. Children go away refreshed having had some fun. As a certified coach you will be able to purchase class packs which includes leaflets, posters, lesson plans, weekly handouts, kids passports and certificates as well as an affirmation item to pass around the class. Children really feel they are part of a club! Children LOVE our classes as they are entertaining and stimulating as well as give them tools, which they can use for the rest of their life. This course is suitable for those wanting to set up classes teaching Relax Kids, but also teachers, therapists, parents, yoga and dance teachers and anyone who works with children.